Home /News /Research /How do people deal with grief? People often have to say farewell to loved ones. Some cope with grief better than others. No matter how far medical care has advanced – sooner or later, everyone has to die. It is inevitable that at some point in our life we will be confronted with the death of a close relative or friend and we will have to find a way to cope with this loss. It is well known that everyone grieves in different ways. It is less well known, however, that our ability to cope with loss and manage our emotions hinges on experiences made in early childhood. 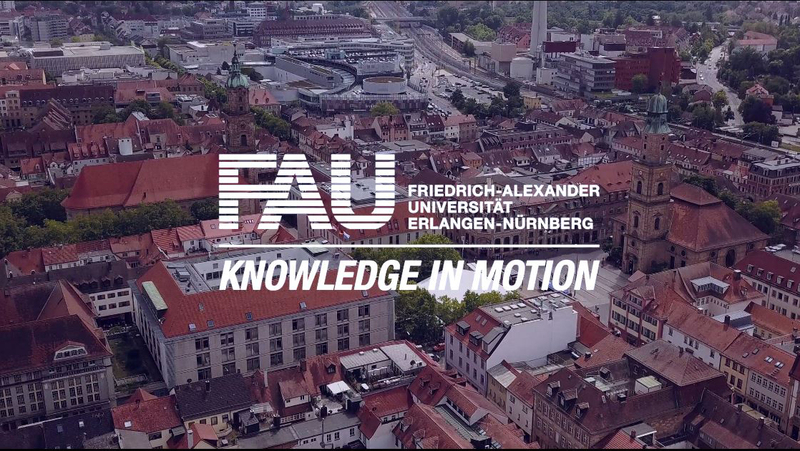 Dr. Johanna Behringer from the Chair of Developmental Psychology and Educational Psychology at FAU, headed by Prof. Dr. Gottfried Spangler, is researching the connection between bonding experienced during early childhood and strategies for coping with loss. ‘Attachment goes hand in hand with separation,’ she says. ‘Even whilst grieving, most people are still able to reflect rationally on this.’ However, some people do not have the necessary emotional and cognitive resources. This handicap is often passed on from one generation to the next, at least to a certain extent: parents who had problems coping with loss or were affected by traumatic experiences in childhood, such as threats or sexual abuse, often suffer from what is known as a so-called ‘unresolved attachment status’. Mothers are particularly likely to pass this status on to their children, who are then in turn more likely to find it difficult to deal with feelings, both in general, but particularly in difficult situations. Within the framework of a longitudinal project funded by the German Research Foundation (DFG), Dr. Behringer is currently researching whether such psychological, emotional insecurity influences the reduced ability to process bereavement as an adult. Approximately 20 percent of those questioned, according to the preliminary results of the Erlangen research group, still have difficulties processing the loss of a relative or close friend even after several years have passed. After looking at the analysis of the data, it appears clear that this is connected to difficulties in perceiving and dealing with their own feelings, wishes and needs. A hopeless situation? ‘If a considerable length of time has passed since losing a loved one and individuals still feel they are unable to regain their previous sense of well-being or notice negative changes in the way they deal with feelings, these individuals should try to open up and discuss their problem as frankly as possible, seeking support from family or friends,’ says Behringer. Professional help is also on hand for people who do not have a social network such as this or who find it hard to turn to family or friends in this situation: psychotherapists, in particular those who take the affected person’s biography and background into account, can help them to deal more effectively with difficult thoughts and feelings, to regulate their emotions and allow the person to ‘mature’ through new emotional experiences. Going to counselling services or sharing experiences with people suffering from similar problems, either now or in the past, may also prove beneficial. Drop-in centres offering get-togethers for those suffering from grief might be one way to get into touch with others in the same situation. This article was originally published in our research magazine friedrich. 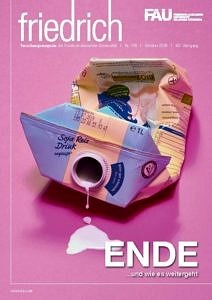 The current issue deals with all aspects of the topic of ‘End’: which of them are unavoidable? How do people deal with this? What does it mean for individuals? Is what people define as the end really the end? Sometimes things just change or develop and something new is created. Occasionally, the end is not an issue at all, with the human race striving for eternity. Is it possible for us to understand this term at all? Is innovation infinite? And do we live forever – on the Internet?